Update your browser bookmarks! The CSU Library's blog is moving to a new address: http://blog.ulib.csuohio.edu. Our RSS Feed is also moving to a new address: http://blog.ulib.csuohio.edu/libblogrss.xml. Be sure to update your RSS Feed subscriptions accordingly. Permanent link to this topic. Posted 2011-04-28 10:34:24. Reply to Jeff_Beuck. Categories: Library News. Have questions or comments? Text us! To use this service, text CSULibrary to 66746 and then save 66746 as a contact in your phone called CSULibrary. Permanent link to this topic. Posted 2011-04-21 09:54:23. Reply to tracy_kemp. Categories: Library News. 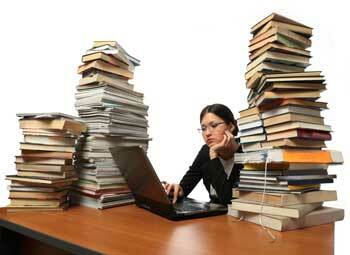 Need Help Writing a Research Paper? The Writing Center has a Workshop for You! If you would like help writing a research paper, the Writing Center invites you to attend any of the upcoming workshops listed below. A short lecture will be followed by individualized instruction. For more information, contact Mary M. Murray McDonald, Director, Writing Center and WAC at 216-687-6982 or m.murray@csuohio.edu. Permanent link to this topic. Posted 2011-04-14 10:26:20. Reply to Lauren_Felder. Stay up-to-date with all the happenings at the Michael Schwartz Library by liking us on Facebook or following us on Twitter and be entered to win a library prize pack. You can find us on Facebook here or follow us on Twitter here. The drawing will be held on Monday April 18, 2011. Permanent link to this topic. Posted 2011-04-13 10:23:27. Reply to Tracy_Kemp. Categories: Library News. 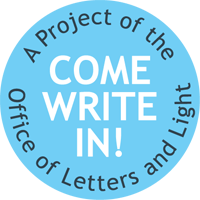 The Michael Schwartz Library is hosting Come Write In! A Script Frenzy, a nationwide initiative, from Monday, April 11 to Friday, April 15. Script Frenzy encourages participants to come into the Library to write 100-page novels or scripts. The event is open to students, faculty, staff and the general public. Participants can gather in the Connection Lounge 2 area, which is located on the south east side of the first floor of the Library, and are welcome to bring their own laptops. For more information, contact Barbara Florjancic at 216-875-9734 or b.florjancic@csuoh.edu. Permanent link to this topic. Posted 2011-04-08 16:15:18. Reply to Barbara_Loomis. Categories: Library News. This workshop will be held in RT 502 in the Michael Schwartz Library in Rhodes Tower and is open to faculty, staff, and students. Light refreshments will be provided and there will be an opportunity to win door prizes. To reserve a seat, please RSVP to Barbara Florjancic at (216) 875-9734 or b.florjancic@csuohio.edu. Permanent link to this topic. Posted 2011-04-07 14:52:37. Reply to Lauren_Felder. The Michael Schwartz Library will be presenting "Research Strategies Using Citation Databases: Scopus and ISI Web of Science,"
Tuesday, April 19 from 12:00 to 1:00 PM in RT 401 in the Library. This seminar will cover the features of Scopus, our newly acquired database, and how it differs from ISI Web of Science, including: a discussion of the Web of Science upgrade and how to determine number of citations, impact factor, h-index, and eigenfactor. Faculty, staff, graduate, and undergraduate students are welcome. Light refreshments will be available. To reserve a seat, please call 216-875-9734 or email reservations. Permanent link to this topic. Posted 2011-04-07 14:50:57. Reply to Barbara_Loomis. Categories: Library News. National Library Week is an annual celebration of the contributions of our nation's libraries and library staff. In honor of this week, the Michael Schwartz Library will host the following events. Join us as we kick off the week with the National Library Week Proclamation and enjoy some light refreshments and giveaways. National Library Worker's Day is a time to honor the contributions of all library workers, librarians, support staff, and others who make library services possible. Find out more about this citation management software and how it can make doing research and writing papers much easier. The Friends Annual Local Authors Book Talk Series will feature Cleveland author Kelly Boyer Sagert, who will visit CSU on April 13th to discuss her book, Joe Jackson: A Biography (Baseball's All-Time Greatest Hitters). Get great deals on hardbacks and paperbacks at the Friends of the Michael Schwartz Library book sale. Permanent link to this topic. Posted 2011-04-04 08:26:35. Reply to Lauren_Felder. Categories: Library News. Showing posts from April 2011 only. Display other dates.